. Published on Tuesday, March 14, 2017 . Want to listen to all your favorite artists without any restrictions or ads? Spotify offers their premium membership to students for only $4.99/month, instead of the usual $9.99/month. With this upgrade, you can play your music anywhere and everywhere on campus without any interruptions. What songs will you be putting on your playlist? Amazon has changed the game of online shopping, and they’ve made it even easier for students to get the books and supplies they need for school. With Amazon’s Prime Student membership, you get fast, free shipping and access to thousands of TV shows and movies all for FREE. Well, for six months at least. But don’t worry, after your free six-month trial is over, you still get to upgrade to Amazon Prime for 50 percent off. So if you haven’t signed up yet, sign up with caution because it can get addicting. Trust me. In addition to getting discounted movie theater tickets at the Games Room Etc.(Bldg. 35-1110), AMC movie theaters also offer discounts to students with a valid school ID every Thursday. This works out perfectly for those of you who enjoy going to Thursday night movie premiers. 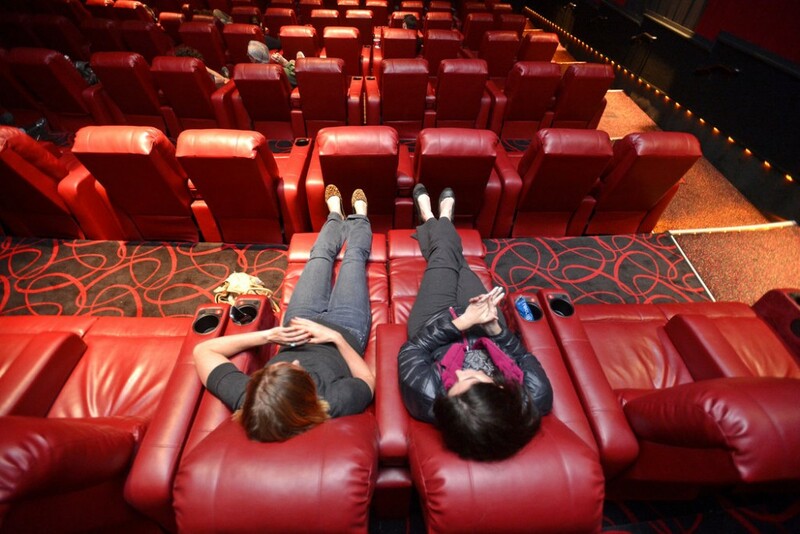 And if you haven’t checked out AMC’s Dine- In theaters with reclining seats, you’re missing out. Once you watch a movie on the big screen from the comfort of a recliner, you never go back. Feel like getting artsy and cultured? Los Angeles has plenty of museums to choose from. Lucky for you, most of them offer discounted rates for students with a valid school ID. And if you’re over going to the bigger museums, such as LACMA or the Getty, there are plenty of smaller museums in the area worth checking out. If you’re in need of a new MacBook or iPad, be sure to stop by your nearest Apple Store and ask about their education pricing. Their education pricing is offered not only to college students, but is also available for students recently accepted into college, parents buying for college students, faculty, home school teachers and staff at all grade levels. Spread the word! Know of some more spots to get a student discount? Let us know by using the hashtag #CampusCropChat on Facebook, Instagram and Twitter. Don’t forget to follow us on Snapchat @ASICPP!